Look for money saving coupons each week in The Apopka Chief and The Planter newspapers. • 125K golf balls are hit into the water at the 17th hole of the Stadium Course at Sawgrass each year. • A golf ball will travel further on hot days because the air is less dense, so it takes less velocity to travel. • The average golfer has a 12,500 to one chance of making a hole-in-one. • Golf has actually been played on the moon. Back in 1961, Apollo 14 astronaut Alan Shepard swung a one-handed shot with a six-iron, which was all his pressure suit would allow. But, you do not need to travel to space to play a good game of golf. 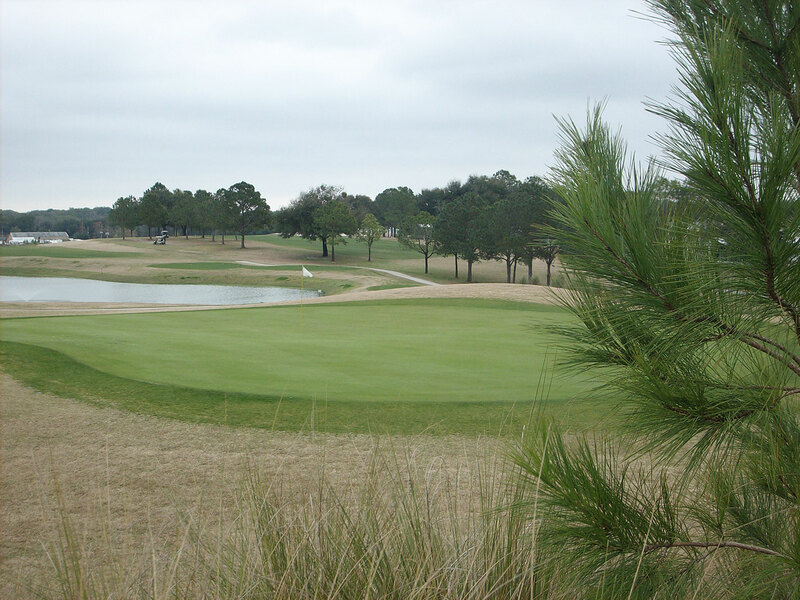 Tucked away in the rolling hills, just five miles northwest of Apopka on highway 441, is Zellwood Station Golf Club. Come check out Zellwood Station Golf Club’s full service facility. The golf course is always in tiptop shape because they truly care about the value of their establishment. Proper attention to fairways, tees, greens, hazards, and the surrounding landscape is vital to maintaining a golf course. At Zellwood Station Golf Club, they provide their customers with great courses, facilities, and well-trained professionals to maintain the courses. In fact, not long ago, four brand new holes were added and Zellwood Station Golf Club is in the best shape it has ever been in. A new practice facility and all new golf carts have been added as well. The staff at Zellwood Station Golf Club is friendly and courteous to all their customers. Golfers want to know that the staff around them loves and enjoys the game as much as they do. Employees who can talk strategy and offer advice go a long way in improving the experience of each customer. Zellwood Station Golf Club provides wonderful service to everyone, so every customer has total satisfaction. The Pro Shop at Zellwood Station Golf Club has a variety of golf supplies and equipment to serve your golfing needs. They carry all of the latest and greatest product lines. Zellwood Station Golf Club has a well-stocked snack bar with food and beverages to make your golfing experience enjoyable. There is also a bar and lounge area located within the pro shop, where players can gather and relax after a hard game on the course. Visit Zellwood Station Golf Club at 2126 Spillman Drive in Zellwood, or contact them at the pro shop at 407-886-3303 for current rates, afternoon company leagues, and corporate outings. For more information, visit them at their website at www.zellwoodgolf.com and sign up to be a part of their unique specials.